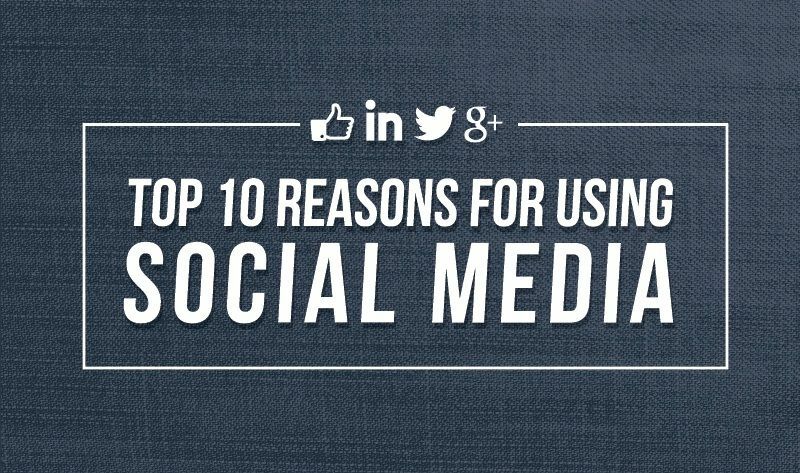 "What are your main reasons for using social networking services?" That is the question that Global Web Index asked 16 to 64 years old internet users in its recent survey, and according to the result, 55 percent online adults use social networking sites to keep in touch with what their friends are doing; 41 percent say they use these sites to stay up-to-date with news, current trends and events, moreover, nearly 4 in 10 use social media to find funny or entertaining content (i.e articles and videos). 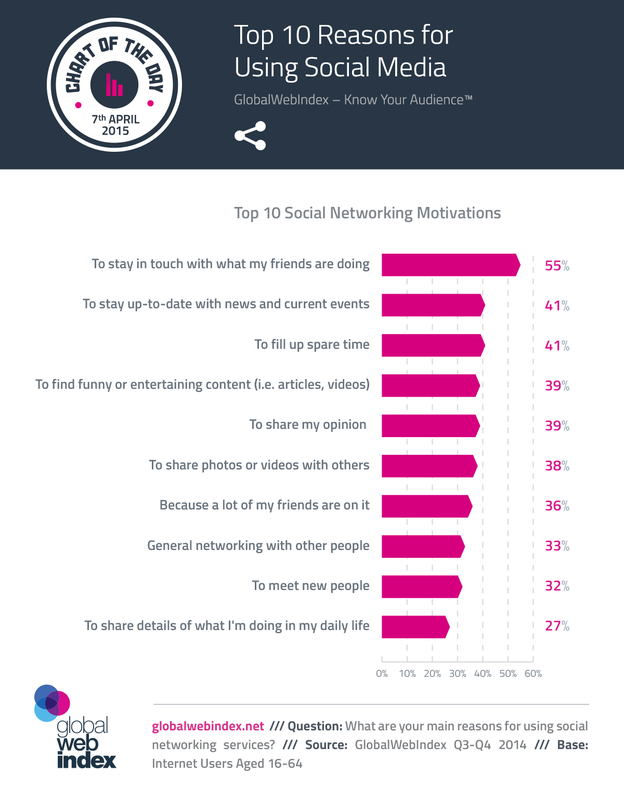 Check out this chart for more insights.